Another welcome return to town for one of our very own (Shipston-on-Stour, close enough!) and after his fabulous show at the smaller Zephyr Lounge back in April of this year it will be great to see him and his band strut their stuff upstairs on the bigger Assembly stage. Blues man extraordinaire Laurence is on this bill supporting American blues star Kenny Wayne Shepherd who is touring to promote his recently released and looking at some of the on-line reviews amazing latest album Lay It On Down, and in a way the show is a bit of a double celebration as Laurence has also just released his latest studio album The Truth (his fifth, boy is he prolific!). On paper this looks like a dream blues double header, I have never seen Kenny live but what I have heard is absolutely top class and as for Laurence I have now had the pleasure of seeing him on stage many times in the last few years and he has blown me away on each and every occasion with his energy, song writing and sheer talent. This show has must see written all over it and I for one cannot wait. 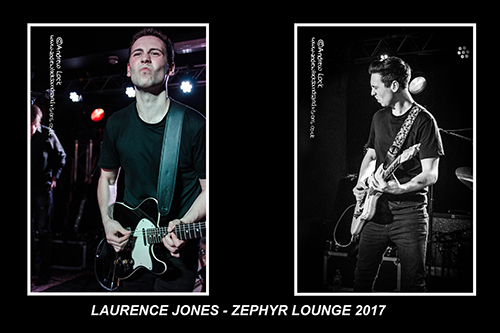 The photos above are a few of my unpublished shots from Laurence’s Zephyr Lounge gig earlier this year (some with his special guest Tom Walker).